With 100-240V AC input, our wall charger can be used in worldwide and suitable for international traveling. 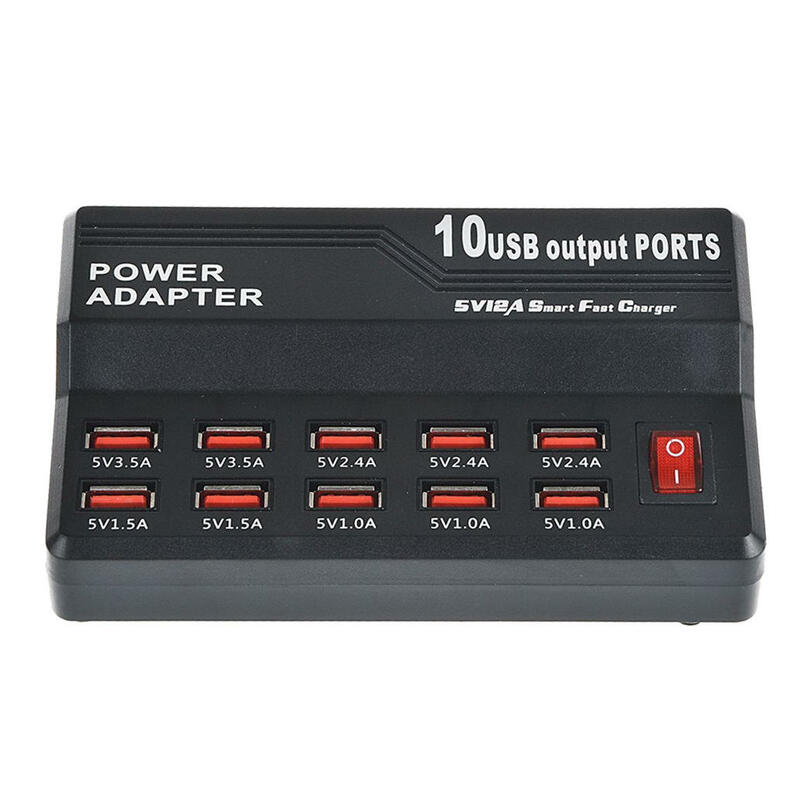 The 10 Port USB Charging Station is compact and it is your ideal travel partner. 2 x 5V 3.5A ports + 3 x 5V 2.4A ports+ 2 x 5V 1.5A ports + 3 x 5V 3.5A ports. Charge your devices faster and save hours. Charges all 5V USB powered devices for Android and Apple Charging Station at up to 3.5A. 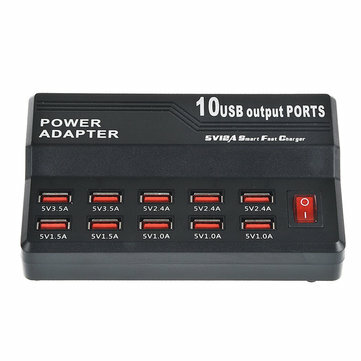 10 port all in one wall charger. Plug in and charge all USB powered devices with one charging station. Exclusive technology can smartly identify your devices and maximize its charging speed. overcharging, overheating and short circuit protection; Convenient and rapid design: Easy to carry and operate, every USB port charges. Compatible with iOS, Android, Windows smart phones as well as tablets, speakers, cameras, and other 5V USB devices.